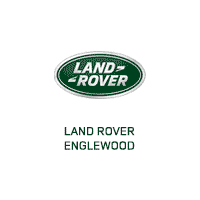 If you’re searching for a luxury SUV in the Hoboken or Weehawken area, you’ll want to explore the variety of Land Rover lease deals available at Land Rover Englewood. New Land Rover models offer extreme capabilities and breathtaking interior luxuries, but that doesn’t mean you can save with lease offers. Explore our current lease specials before finding the Land Rover Discovery lease or Range Rover lease that suits your budget! Why Lease a Land Rover? If you think leasing your next SUV is right for you, feel free to contact our finance team to talk through your next steps! We’re dedicated to helping you finance your next Land Rover for a rate that works for you. We hope you find the perfect Land Rover Discovery lease or Range Rover Evoque lease for your lifestyle!